Chronicling Elizabethtown: Lace up your running shoes and test your endurance! Lace up your running shoes and test your endurance! Runners in greater Elizabethtown area and beyond have several chances to test their distance skills in the coming month. 10th annual Run for Childen, 8 a.m., May 9 -- This event features a 10K, a 5K and a 1-mile fun run that starts and finishes at the Paramount Sports Complex in Annville. PennLive reports that "the race benefits the Maggie Leach Scholarship Fund, which provides financial grounds for economically disadvantaged children to attend summer camp. Last year's race provided enough funding for each of the 16 children who requested to attend the ability to go." You can register for the race here. 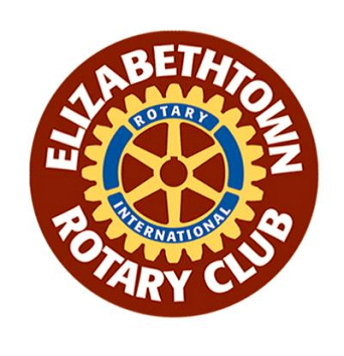 Second annual ROTARY Mother's Day 5K, 3 p.m., May 10 -- Held at Masonic Village in Elizabethtown, the event benefits the Elizabethtown Rotary Club and its local community projects. Registration is available here. Second annual Arm of Hope 5K, 9 a.m., May 23 -- This event is held at Hope Community Church, in Rheems. I can attest that it is a great race, having run the inaugual event last year. The course has some flat sections and some small hills to make it interesting, and the race organizers do a good job making it a fun event. This was the first race that my son, who was then 13, beat me, and there's been no catching him since. I have come to terms with that! Register here. Third annual Rock-N-Glow 5K, 9 p.m., May 30 -- Supporting the downtown in Manheim, this race attracted more than 2,000 runners last year. While I didn't run it, I've heard good things about it from those who did. Festivities get started at 6 p.m., and there's an after party with live music, food and dancing. It sounds like a good time! Registration is here.